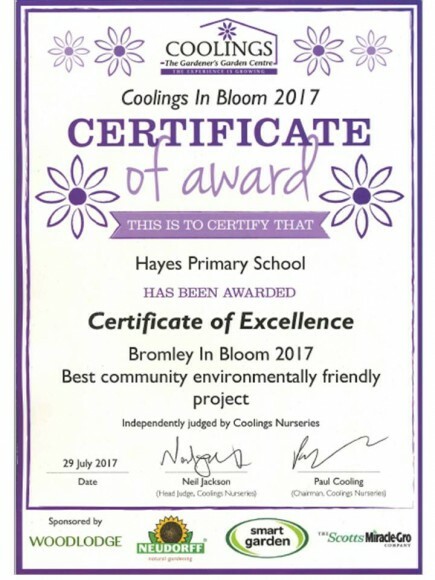 Hayes Primary School - Coolings Bromley in Bloom! 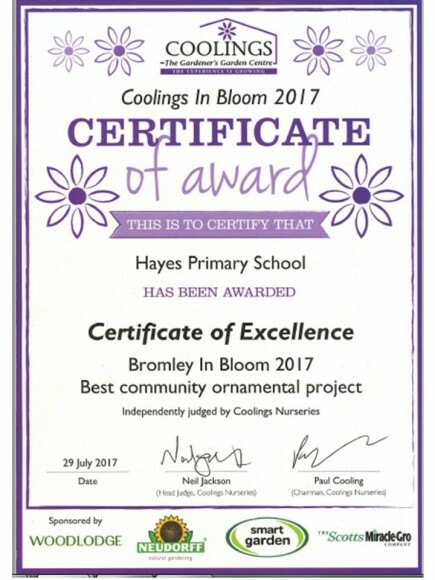 We are very proud that our vegetable beds at the front of school won two awards for "Best community ornamental project" and "Best community environmentally friendly project" which was judged by Coolings Garden Centre. We were presented with our awards at the Coolings Horticultural Awards evening in July. Well done to all of our committed and enthusiastic Gardening Club members!